U.S. defense and intelligence leaders agree that climate change is a threat to U.S. national security. It is not a future threat, it a threat today. Climate change is affecting global stability, military readiness, humanitarian crises, and the risk of war. Communities around the world are experiencing negative impacts due to extreme weather events, food and water shortages, and sea-level rise. Faced with these security risks, the U.S. must provide strong leadership to reduce climate-changing pollution and provide response strategies that help the U.S. and the world prepare for and reduce the impacts of climate change. NRCM held two forums to explore how climate change is disrupting communities around the world and impacting America’s national security. Both events were co-sponsored by the Natural Resources Council of Maine, American Security Project, and the World Affairs Council of Maine and were held in Hannaford Hall, University of Southern Maine, Portland in April, 2018. Hear more (above) from the evening's panelists: U.S. Senator Angus King, Lt. General John Castellaw of the U.S.Marine Corps (Ret. ), and Roger Sorkin, Executive Director for the American Resilience Project. At right, hear stories of some of Maine’s recent immigrants who have left their homelands because of such instability, with a discussion featuring three New Mainers and Lt. General John Castellaw. The video above is the full discussion with Senator Angus King, Lt. General John Castellaw of the U.S.Marine Corps (Ret. ), and Roger Sorkin, Executive Director for the American Resilience Project. U.S. military and intelligence officials have repeatedly identified climate change as a security risk. The Defense Department’s 2014 Quadrennial Defense Review describes the effects of climate change as "threat multipliers that will aggravate stressors abroad such as poverty, environmental degradation, political instability, and social tensions—conditions that can enable terrorist activity and other forms of violence." Congress also has identified these risks, affirming in the Fiscal Year 2018 Defense Authorization Act that climate change is "a direct threat to the national security of the United States." In 2016, Director of National Intelligence James Clapper called climate change a driver of "unpredictable instability," impacting the "availability of basics like water and food, and other resources, which are increasingly going to become matters of conflict, and already are, between and among countries." Many U.S. military installations are located in coastal regions where they face a heightened threat from sea-level rise and storm surge. The National Intelligence Council has identified more than 30 U.S. installations that already are facing heightened risks from rising sea levels. The world’s largest naval base, Naval Station Norfolk in Virginia, already is experiencing regular tidal flooding, with the prospects of nearly daily flooding by mid-century. As sea levels rise, scores of military facilities, including the Portsmouth Naval Shipyard and Bath Iron Works, will face costly and disruptive impacts from flooding and storms. Extreme weather events exacerbated by climate change are creating an increased burden on military personnel responsible for responding to humanitarian crises and natural disasters. Following Hurricane Sandy, for example, the Pentagon mobilized 24,000 personnel for emergency response, disaster relief, and rebuilding efforts. Emergency response operations already pose a high cost for the military and can interfere with overall readiness. These costs are expected to escalate as a result of climate change. 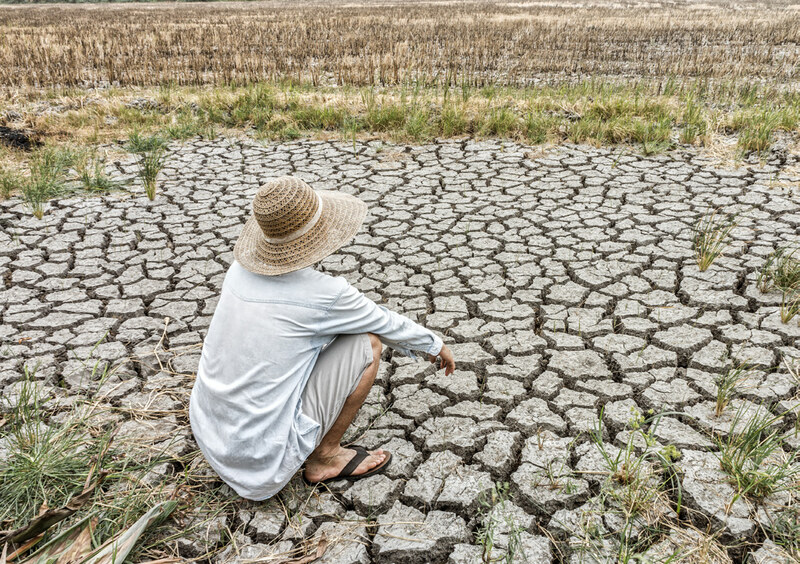 While climate change alone does not cause conflict, it can act as an accelerant of instability to regions around the world already facing stressors like poverty, environmental degradation, political instability, and social tensions. Because of this, military officials have labeled climate change a “threat multiplier.” As stated by Secretary of Defense James Mattis: “Climate change is impacting stability in areas of the world where our troops are operating today. It is appropriate for the Combatant Commands to incorporate drivers of instability that impact the security environment in their areas into their planning." The Arctic region is particularly vulnerable to change since it is warming twice as fast as anywhere else in the world. Rapidly melting sea ice is creating access for new trade routes and previously inaccessible resources, with the potential to drastically alter current geo-political relationships. The five Arctic nations—the U.S., Canada, Denmark, Norway, and Russia—will need to navigate the challenges of increased Arctic access and potential competition for natural resources. The impacts of climate change—including reduced access to fresh water, impaired food production, and land loss from flooding—are likely to cause massive population displacement. Low-lying nations, such as Bangladesh and entire island countries, face extreme near-term risks from sea-level rise and storm flooding. With nearly two-thirds of the world’s population living near coastlines, the threat of displacement will increase sharply. Climate migrants currently are not protected under international refugee law, leaving them without the rights and legal protections afforded to war refugees. And unlike war refugees, many climate migrants will face permanent displacement from their homes due to sea-level rise and drought. Beyond the human toll of climate-induced migration, these displaced persons will create additional strains on global humanitarian response efforts, defense capabilities, and the international economy.